Agile Prague Conference, which I organize in Prague every year, has already been here for 6 years. We are sold-out again (the only way how to get to Agile Prague 2016 is to attend LeSS workshop). This time we were already sold-out one month before the event, which is going to be 12-13 Sep 2016 this year. But don’t worry. We don’t want to make it bigger next year. Our mission is to offer the best of the best speakers with hands on experience on Agile, Scrum, Kanban, XP practices, but also share experiences from leaders of Agile organizations with their transformation, Scaling, etc. We don’t want to grow, as the biggest part of the conference learning is hidden in conversation you can have with other participants and our creative thinkers – the speakers. In order to make it possible, we can’t be too big. 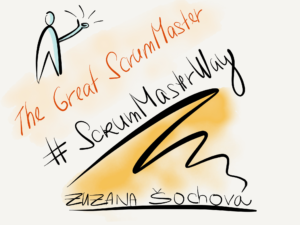 I’m attending several huge events every year (Agile 20xx with over 2500 participants and Global Scrum Gatherings with over 1200) and compare the learning and experience I got there with small local events I’ve been speaking at (Big Apple Scrum Day (NYC), Scan-Agile, AgileSlovenia, ACE, … ). I like the smaller events better. It’s compact, easier to approach speakers, easier to reach into people again and build on top of the conversation we started before we all run to another session. Every year we try to attract the best international speakers and bring their ideas and experiences to the Czech Republic. We are small country so it is very unique opportunity for our local Agile community to look at Agile in wider context. As the program is high quality and our conference is getting great references from past year audience and speakers, we attract more and more participants from Europe and other countries. So if you’ve never been to Prague you can already mark the next year date into your calendars – it’s going to be Sep 11-12, 2017. We do our best to attract wonderful speakers for you again. If you are a speaker and you or your family never got a time to go for holiday to Prague, submit your talk next year and we give you awesome opportunity to combine conference and sightseeing all together. We offer a private guide to our speakers and their families (so they have a program with us while you are at the conference). You will not only have an opportunity to speak at one of the best Central European events but also can enjoy history, and local atmosphere with us. 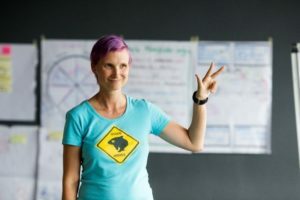 Looking forward to see you this year at Agile Prague Conference, and hope to see you next year again.